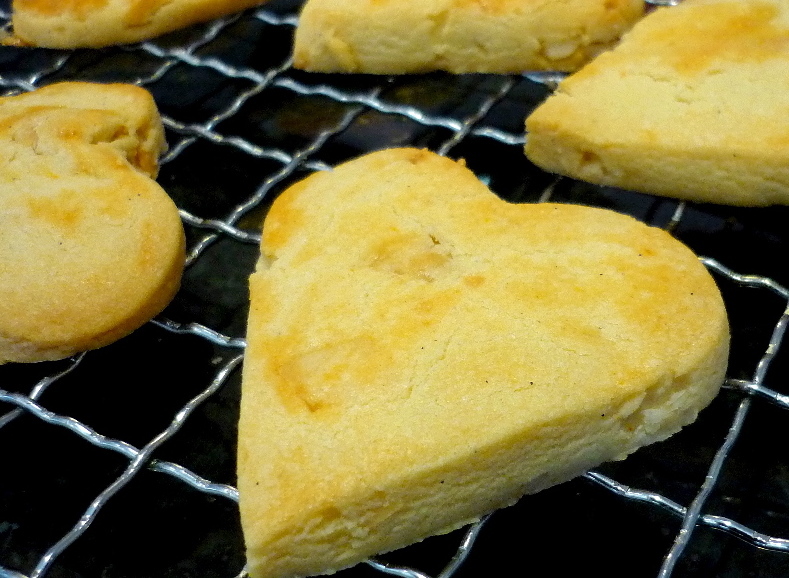 If you are fond of shortbread, this is a great way to add a little something to them. These are particularly good at Christmas time, as they make great gifts and last well. Sift flours, salt and custard powder together in a large bowl, add sugar. Rub butter and vanilla into the flour mix, kneading until a soft dough forms. Knead in macadamias and allow dough to rest for 30 minutes in the fridge. Form dough into walnut-sized balls, flatten with a fork. Alternatively, roll dough into a baking tray and cut into even pieces or mould using a traditional shortbread mould. Bake in a 200°C oven for 15-20 minutes until deeply golden. Immediately dust with icing sugar as they are removed from the oven and allow to cool completely before eating.